Nurses are available to provide a wide range of services including: patient education concerning medical conditions or new medications, assessing vital signs, performing injections, wound care, catheter maintenance, diabetic care, and coordination of services with your doctor. A home health aide can help you perform activities of daily living such as bathing, personal hygiene/grooming, getting dressed, meals, and light housekeeping. 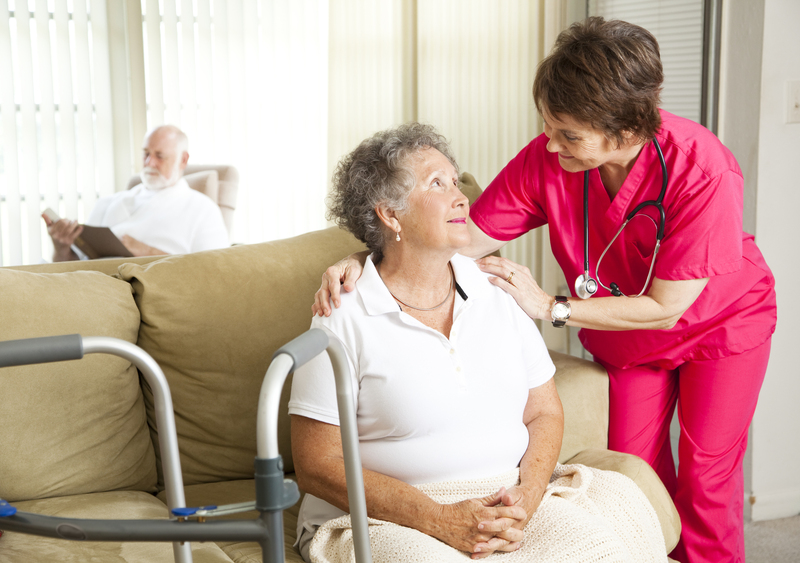 Home health care can also provide the services of a physical therapist for the elderly at high risks for falls or after a sudden or even a gradual decline in mobility, balance, or transfer. The Physical Therapist will work with you on specific exercises to increase strength, improve balance and walking, alleviate joint pain, and to restore confidence and independence. An Occupational Therapist can help you increase upper body strength and assist to restore the diminished ability to perform activities of daily living such as bathing, getting dressed, preparing meals and getting in and out of beds, chairs, the restroom, and the shower. The therapist can also help with obtaining assistive devices such as: shower benches, wheelchairs, hospital beds, walkers, and so forth. Speech Therapists are able to work with clients who have difficulty speaking or swallowing as well as cognitive retraining. A Social Worker can assist the patient and family with emotional issues, coping skills, the availability of community resources, and education regarding assisted living centers, nursing homes, senior citizen centers, live-in help, etc. Our Chaplain specializes in grief counseling, bereavement, family support, music therapy, and can assist with non-denominational religious support. Our physician makes home visits to hospice patients and also oversees all care that we provide for homecare and hospice services.